Subaru Service and Repair - Orinda Motors Inc. When your Subaru needs service, come to Orinda Motors for the best auto repair and auto mechanics in the Lamorinda region. Orinda Motors has a long history serving the citizens of Orinda, Moraga, Lafayette, El Sobrante, Walnut Creek, Oakland, and everything in between. Orinda Motors has a long history of providing quality auto repair to generations of customers. You can rest assured that we’ll take great care of you and your Subaru. As a Subaru owner, you need to find the best in service and repair to make sure your vehicle lasts for the long haul. After all, you invested in a quality car when you purchased a Subaru, so it only makes sense to provide it with top quality care to protect that investment. We offer the best repair and service of Subaru vehicles in the area thanks to our talented team and years of experience. Give us a call or stop by today and we will get right to work for you! We have a dedicated team of certified technicians who work in our shop and will be taking care of your Subaru when you bring it in. Our team is experienced with all the various Subaru models, including the BRZ, Tribeca, Outback, XV Crosstrek, Impreza, Impreza WRX, Legacy, Forester and more. No matter what kind of maintenance or service you need, count on our team to be up to the task! “Every time I get to Orinda Motors I know that everything will be done top notch style: fast, reliable and for reasonable price.” -- Ivan N.
Whether you need routine maintenance or repairs for major damage, our team of certified technicians provides top-notch service. 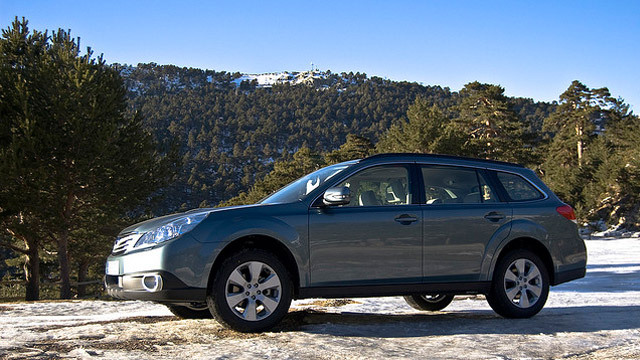 Give your Subaru the excellent service and auto repair it deserves. Call Orinda Motors or stop in to schedule your service appointment today!